There are small pieces of broken dimond twill and lozenge twill from the harbour in viking age Haithabu. 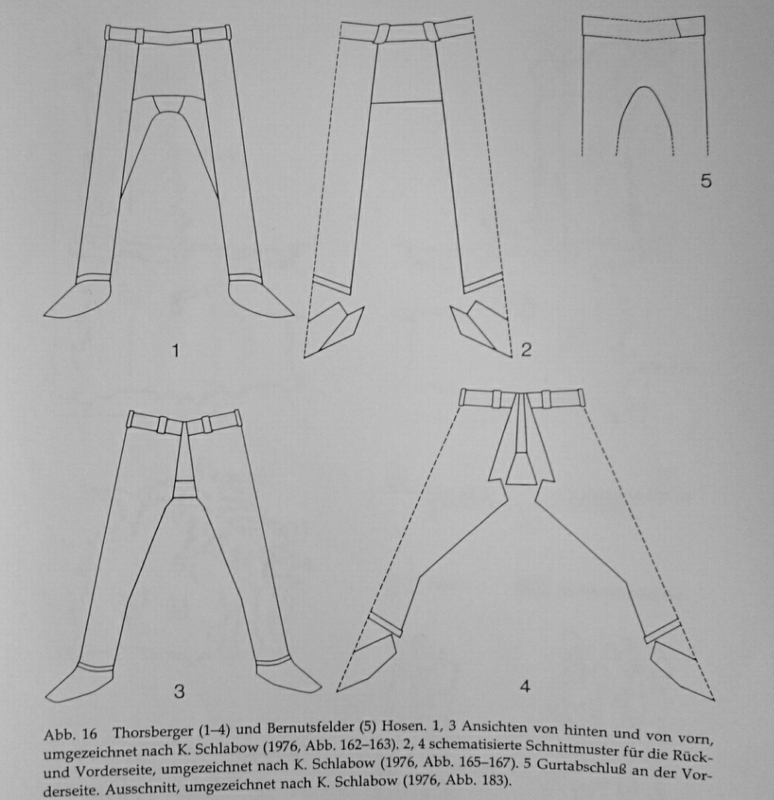 Inga Hägg identifies them as pants of the same style as the much older pants from Thorsbjerg. Textile from Haithabu in broken dimond twill (diamantkypert) and fragment with lozenge twill (spetskypert). Ur Hägg 1984, s. 30. 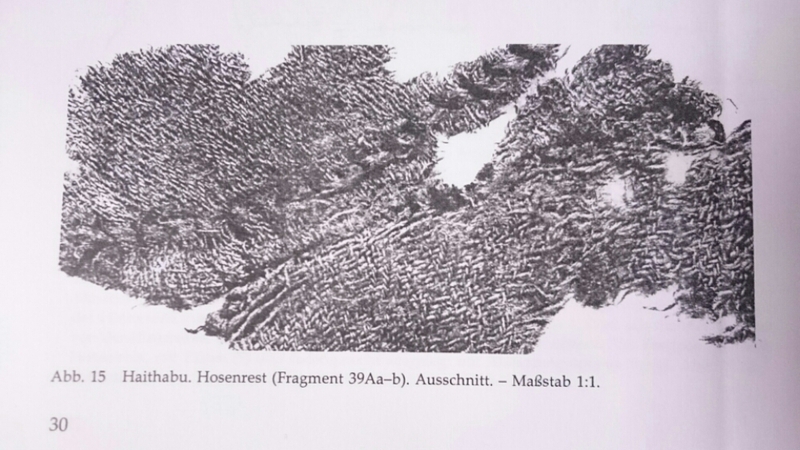 Sketches of the fragments from the Haithabu harbour. Ur Hägg 1984, s. 30. 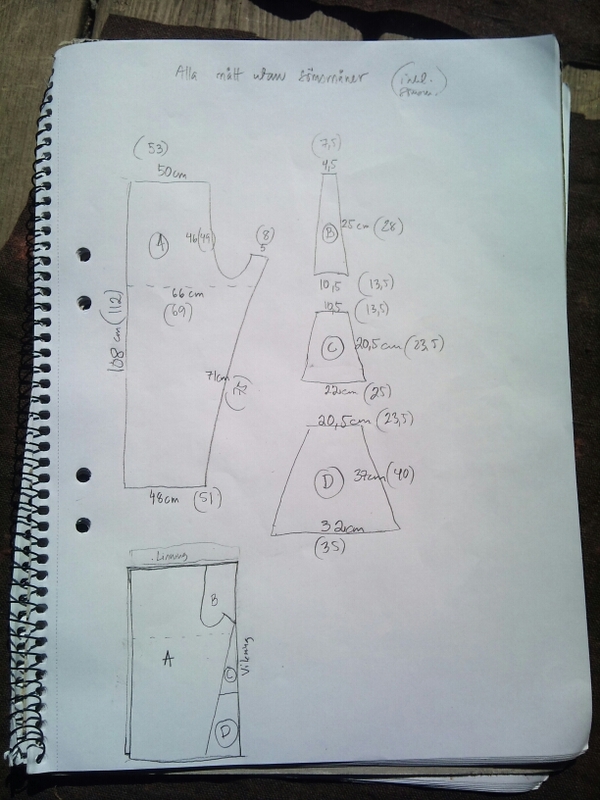 The fragments and the sketches show pieces of the pants upper part. 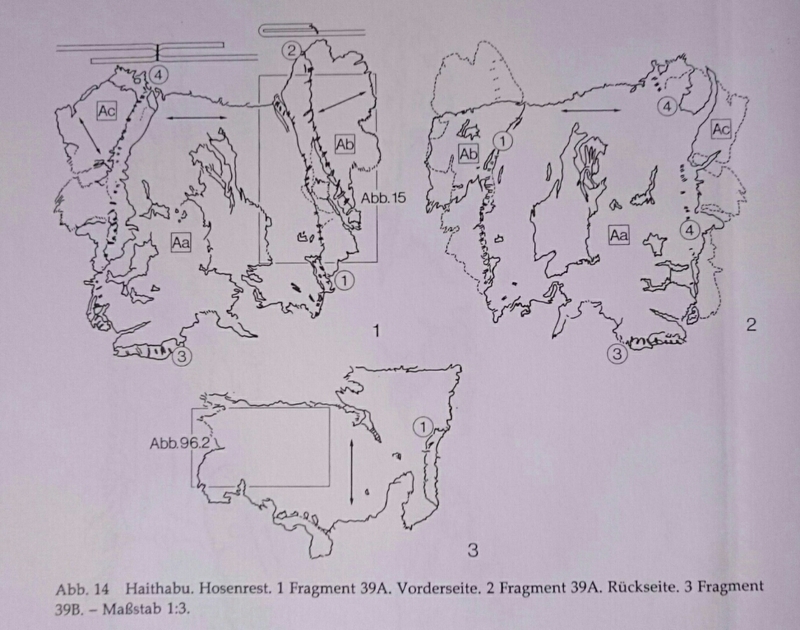 Thorsbjergpants as referens for the Haithabu fragments. Ur Hägg 1984, s. 31. 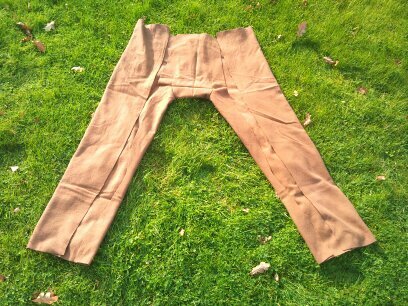 These are the “Thorsbjerg pants” and they are very narrow and tricky to measure to fit your body. There are patterns to buy and also on Pinterest. Before beeing compleatly sown together. Folded, but not sown together. 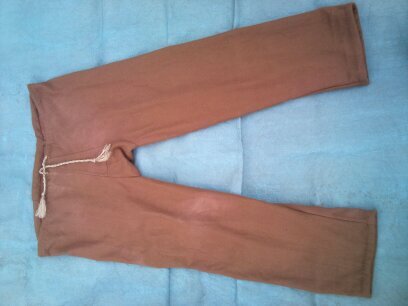 Front of pants without the sock. 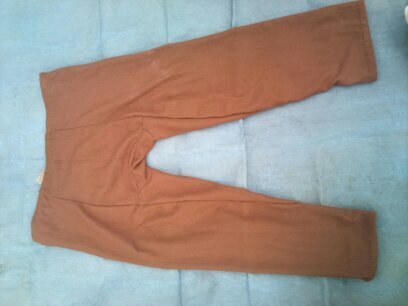 This is custom made pants, but you can see at the bottom how I laid out the pieces on the fabric. The dotted line is around the thigh. I usually try in a cheap fabric. But I always sweat when cutting! It is a mystery to me how they came up with these pants!!! The good thing if you are riding on horseback is that the seem will not hurt your inner thigh. Inga Hägg, 1984. Die Textilfunde aus dem Hafen. Berischte über die Ausgrabungenin Haithabu. Berischt 20. Neumünster. Nille Glaesel has a good pattern in “Viking, dress, garments, clothing” (eventhough I have used one more square) and also a new book for the “Viking warrior clothing”. 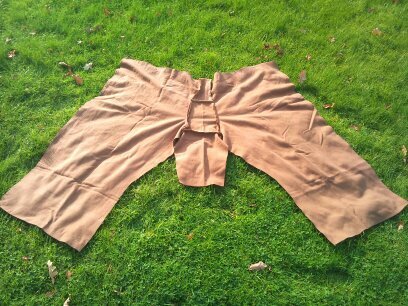 This entry was posted in Äldre järnålder, Forntida betraktelser, Forntida dräkt, Forntida textil, Vikingatida dräkt and tagged arkeologi, Hedeby, textil, Thorsbjergsbyxor, viking pants, vikingatida byxor, vikingatida dräkt on 15 December, 2015 by Linda.